Students at a New Orleans school have "adopted" the family of one of the first New York City firefighters killed in the World Trade Center disaster. Members of a Baptist church in Guthrie, Oklahoma set out 5,000 crosses in a field to help comprehend the enormity of the World Trade Center and Pentagon attacks. Children in San Jose, California scrawled messages of hope and love that now decorate the window of a clothing store only a few blocks from ground zero, where jeans remained saturated with dust a month after the collapse. A pet supply firm in Rhinelander, Wisconsin, sent 500 pair of dog booties to protect the feet of canine rescue units working in the World Trade Center rubble. Almost as soon as the hijacked airliners hit the Twin Towers on the morning of September 11, Americans began reaching out to New York, feeling shock and horror, expressing support, trying somehow to help. The city that much of America once loved to hate was now the subject of sympathy, admiration, and even affection. And, for their part, New Yorkers began flying American flags and singing "God Bless America." This was a sharp departure for many of us, who relished feeling apart from the rest of the country, and had indeed escaped to a place that writer Djuna Barnes described in 1916 as "the only city where you can hardly find a typical American." But, following the World Trade Center attack, writer Anne Roiphe exulted that "New York is once again a part of the country. Some may not like us out there, but they have recognized that we are a limb of theirs, a member of their immediate family, and for our part we feel again proudly fiercely American." Americans started calling the mayor of New York "America's Mayor." They vowed to visit New York to boost the city's economy. Some said that the city should be awarded the 2012 Olympic games both for the financial lift it could give the city and as a rebuke to the terrorists who tried to shatter New York. But New York, with its economy badly battered by the terrorist attack, needs more than prayers, praise and touching gifts. It needs investment, jobs, and a lot of government aid. As the country faces an economic slump and Governor George Pataki goes to Washington to request a $54 billion aid package to rebuild and restore the city, New Yorkers may soon learn how far the country will go with its support. If the loss of life is unprecedented, and the psychic trauma apparently growing with each new day, it is too soon to know the precise magnitude of the economic damage. A study by the Fiscal Policy Institute for the New York City Central Labor Council estimates that New York lost 108,500 jobs, or 2.4 percent of its total, in the first month after the attack. New York City Comptroller Alan Hevesi estimates the attack could cost the city between $90 billion and $105 billion in the next two years. Property loses alone will total $34 billion. If goodwill and collected pennies could fill this gap, New York would be well on the way to a robust economic recovery. At the grass roots level, support for the city is undeniable. On October 5, the Flagg family of Bertram, Texas, came to New York bearing some 3,000 teddy bears they had collected for the city's children. A guard at the Fort McHenry National Monument in Baltimore, from which the original Star Spangled Banner flew during the War of 1812, arranged to give one of the fort's current flags to the people of New York. Students from Hudson, Iowa gave the Twin Towers Fund $7,106.06 they raised through a "peace walk" and a bake sale. Shortly after the attack, two busloads of senior citizens from Rochester, Minnesota, came to New York on what they called a Patriot Tour. In early October, the Portland, Oregon, Chamber of Commerce organized a Flight for Freedom which brought 972 Oregonians to New York to stay in the Waldorf-Astoria and spend, spend, spend. "We want to show our sympathy and, more important, to spend money," Portland hotel manager George Forbes told reporters. Only 26 years ago, President Gerald Ford and many members of Congress initially refused to help the city avoid bankruptcy, prompting the famous Daily News headline, "Ford To City: Drop Dead." Today, there are still some preachers who may rant against Sin City, but they are now apparently in the minority. "New York stands for all that's right with this country," Ron Dietz, a newspaper publisher in Crawfordsville, Indiana, said recently. "There's really no sense of them versus us," says Sarah Juon, a writer who used to live in New York but now resides in the small city of Rhinelander, Wisconsin. "I haven't heard anything negative about New York." Part of this, she thinks, may be because of the nature of what happened. Unlike the 1995 bombing of the Murrah Federal Building in Oklahoma City, she says, this catastrophe is viewed by many Americans as an attack "by foreign people" on "our whole way of living." And so, she says, "there's a feeling of vulnerability even out here in the boondocks." "We get emotional," says a tourist from California waiting on line to visit the Empire State Building. "California is a long way away, but it hurts." Russell Dynes, a sociologist and former director of the Disaster Research Center at the University of Delaware, says the kind of reaching out that New York has experienced often takes place after cataclysmic events. "The major difference here," he says, "is the difference in dimension. It's somewhat parallel to what you see in terms of smaller events. There is sympathy and help and you find people willing to volunteer their time and their money and support." 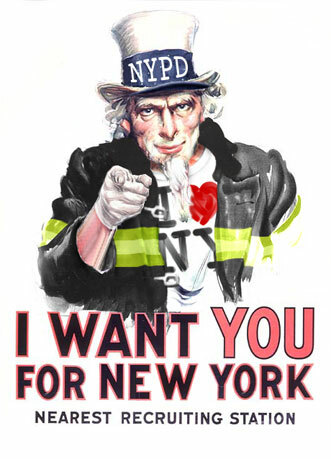 Several months before September 11, Kenneth Jackson, president of the New-York Historical Society, said that Americans were gaining more appreciation of cities in general and New York in particular. "Partly because of Giuliani, partly because of "Seinfeld," there is a sense that urbanity and sophistication does not come from driving a car to a shopping mall." But some say that non-New Yorkers have changed their attitudes about New York, because the city and its residents have themselves changed. In a recent article, Jonathan Mahler, a contributing editor at Talk magazine, compared New York now to the city during its "most trying moment" until the present one: the blackout, or power failure, of 1977. The blackout produced massive looting and what the New York Post called "24 Hours of Terror." Mahler compares that response from New Yorkers with their heroism, volunteerism and generosity after the World Trade Center collapse. After the blackout, conservative writer Midge Decter said that one had the sensation "of having been given a glimpse into the foundation of one's house and seen, with horror, that it was utterly infested and rotting away." But, Mahler says, "On the morning of September 12, you felt the exact inverse: Our tallest towers had been felled, but our foundation was more secure than ever." Mayor Giuliani has repeatedly told Americans to support New York by coming to the city, to eat out and see a show. Despite the ebullience of the Oregon contingent and the visitors gawking at the World Trade Center ruins, tourism has suffered. The fall is usually peak tourist season, but this year, hotels that are normally 85 percent to 90 percent full had half their rooms empty. Cristyne L. Nicholas, president of NYC & Company, the city's tourism agency, said New York lost $237 million in hotel, restaurant and Broadway revenue in the four weeks after the attack. Some 5,000 workers in the hotel industry have been laid off. Partly, this reflects a national trend. Throughout the country, hotel revenues dropped 27 percent in the week ending September 22, and airline travel has been so hard hit that the industry seems in danger of collapse. But, as a center both of destruction and tourism, New York has borne a particularly heavy burden. To counter this, Governor Pataki announced a $40 million advertising campaign designed to lure business travelers and vacationers back to the city. Delta Airlines was named the official airline of NYC & Company and announced it would give away 10,000 tickets to New York City, along with a free guidebook and pass to Chelsea Piers. The tourism agency will launch a "Paint the Town, Red, White and Blue" promotion next month, featuring discounts on shopping, hotels, restaurants and theater. Individual businesses are also making an effort. International and Crown Plaza hotels are offering rooms at up to $200 off the usual rate. The staff at the posh Hotel Carlyle volunteered to work four-day weeks to save one another's jobs. And the New York Times Living section reports that, to trim prices, elegant restaurants are replacing foie gras with duck liver mousse and halibut with less costly catfish. Some tourists are heeding the call. A middle aged couple from California said their friends were surprised that they took a previously scheduled trip to New York. But, the man says, "President Bush said get back to business and get on the airlines, and we thought it was our patriotic duty." Now that they are here, they say they have found New Yorkers to be friendly and helpful; one man even gave them a ride from Kennedy Airport to their hotel in Manhattan so they could save the cab fare. The couple will visit the trade center site because, the woman said, "it's part of history." And many of their friends in California, who thought their trip was foolhardy, await eyewitness reports. "They have asked me to leave messages about what I saw on their voice mail," the man said. Tom Russell of Scotland, who scheduled his trip after September 11 to the surprise of many of his acquaintances back home, said "We feel sorry for the people of New York and want to give them support." Russell, who had met up with his daughter, Fiona, who now lives in Vermont, was making the rounds of many tourist sites but said he would skip what is suddenly the most popular, ground zero. At least six trade shows originally scheduled for New York were canceled after the attack, according to a spokesperson for NYC & Company. Others have been canceled but may be rescheduled. The problem may be more practical than psychological. Much prime exhibition space was near the World Trade Center and other venues, such as the Javits Center, are being used for emergency facilities. But, at the same time, says NYC & Company, five major conventions previously scheduled for other cities have agreed to come to New York. The American Federation of State, County and Municipal Employees will hold its November Women's Conference in New York instead of Boston as originally planned. The union decided to relocate the meeting, which attracts about 1,500 people, "to support the city, our New York members, the victims and their families and the rescue workers," said union President Gerald W. McEntee. The Magazine Publishers of America and American Society of Magazine Editors opted to move their conference from Phoenix to New York because many of its members do not want to leave their homes in New York. And the American Society of Travel Agents said that it hoped that, by moving its conference from Seville, Spain, to New York it would set an example for its members. For a brief time, New Yorkers hoped to snag one of the biggest gatherings of the next several months: the Super Bowl. That didn't work out (the game will be played in New Orleans as originally planned), but some in the city hope for a bigger sports event, the 2012 Olympics. Following the attack, the mayor of Rome, which also seeks the games, said that, if New York is selected as the U.S. candidate for the event, other cities should withdraw in a show of solidarity. "If the games go to New York, it means the athletes, the spectators, the whole world, we can all be together. This will show that the terrorists are defeated," said Roman Mayor Walter Veltroni. But other entrants in competition to get the games have indicated that solidarity only goes so far (and sometimes not very far at all). California's Bay Area Sports Organizing Committee is going ahead with its bid. "The fact that our venues are so dispersed around the region is really a security advantage," committee spokesman Tony Winncker said. The most important competition for New York is in Washington. Governor George Pataki has requested a $54 billion federal aid plan to New York that goes far beyond any previous disasters. The city is already set to receive $17.5 billion to help clean up the area around the trade center site and restore damaged buildings, subway stations and so forth. Pataki now estimates that will cost at least $34 billion. Another part of the package, a piece the New York Times called perhaps "least likely to gain traction in Congress, " calls for $12 billion to make up for city and state tax revenues lost as a result of the attack. Also likely to be controversial is a bid for $3 billion for transportation projects, many of which were part of a transportation bond act that voters defeated last year. And the governor wants $2 billion for various measures to entice businesses back to lower Manhattan. Discussing the response on Capitol Hill, the Times said, "Federal disaster aid has never before been used to help fill gaps in state and city budgets, and some members of Congress are concerned about setting a precedent." While the package would probably be a tough sell at any time, these are particularly difficult days to seek a huge outlay of federal funds. The economy is slumping, and others, including the airlines, the military and the government of Virginia and Washington, D.C. have their requests too. Earlier in the month, an aide to a member of the House Republican leadership said that it would be difficult to win approval of much aid beyond the $20 billion already approved for New York, Virginia and Pennsylvania. "We are already eating up the surplus, and the federal government has a war effort to pay for," he said. And opposition could come from Democrats as well. Democratic Representative Robert Matsui said he was worried about the new free spending environment on Capitol Hill and questioned how long it could, and should, last. "We have basically opened the door for anything. This is a real danger," he told BusinessWeek. Even Pataki conceded, "we may not get the things we hope to get." And Giuliani did not endorse Pataki's plan. Already there are signs that some of the goodwill toward New York is waning. Members of Congress have expressed concern about the aid package, and the White House, which weeks ago had been said to have issued a blank check, had no immediate public response. Forbes magazine attacked Comptroller Alan Hevesi for his estimate of how much the disasters would cost New York and for the city's effort to win federal aid. "After all," writes Michael Noer, "federal largess, no matter how massive, can't head off the real danger to New York City's economy. The real worry is not just that people and companies will leave the city," but that the city will no longer serve as a mecca for people and magnet for companies in the future. After a disaster, there is a tendency for support for the victim to "erode over time," says Dynes of the Disaster Research Center. The trade center collapse will certainly remain in the minds of most Americans as a landmark tragedy in the same way as the attack on Pearl Harbor or the assassination of President Kennedy. But, he says, as we return to more normal times, people will find less need to volunteer time, nor give money, nor even find good things to say about the city. Some New Yorkers might secretly feel relieved if this were to happen. New York, after all, is full of people who left Dubuque and Peoria and other solidly American places for a city that novelist Saul Bellow once called "the capital of no known foreign country."